The Android 9.0 Pie based LineageOS 16 is not official yet, but the official team says the transition from 15.1 to 16 should be smooth. They are still working on it! But that didn’t stop the developer community to release an unofficial LineageOS 16 for Poco F1, thanks to XDA Senior Member abhishek987 for his excellent work. This is, of course, an alpha release, but most of the Android Pie features are working flawlessly. The ROM is packed with all the Android 9.0 Pie goodies, along with the Google Apps. 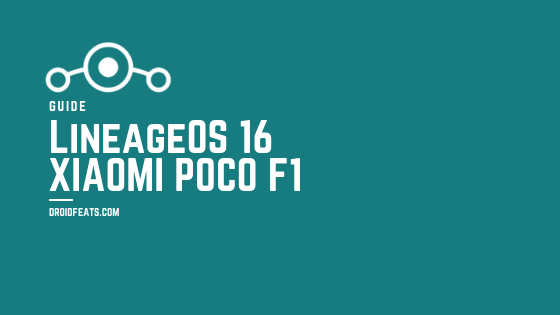 With this guide, you will be able to download and install LineageOS 16 on Xiaomi Poco F1. We have entire tutorial along with necessary download links below, read ahead. Since this is an unofficial build, the flashable ZIP file would be unsigned from the OEM. Therefore, you need to have a custom recovery installed from before in order to install LineageOS 16 Android 9.0 Pie Custom ROM. We have a compatible recovery image file too in the tutorial below. Make sure to install it first. Xiaomi Poco F1 is slated to get official Android 9.0 Pie in the Q4 of 2018. However, it’s still not released. Maybe, they will take a couple of months more for the final update. Anyway, check out LineageOS 16 for Poco F1 working features and known issues below! What’s working on LineageOS 16 for Poco F1? LineageOS is the famous custom ROM for Android devices. Thanks to its reliability in a wide range of devices. It is the successor of CyanogenMod. LineageOS is fully AOSP based, which means, ZERO bloatware, clean, and pure naked Android with additional Lineage features. It is the most liked custom ROM in the Android community. Since this is just an initial release, that too unofficial, it is certain that there may be some bugs. But the only known issues we got so far is the IR camera. If you find something more, please comment below. We expect the developer to release a 100 percent stable build in future updates. Since the firmware is not an official rollout by Xiaomi, the stock recovery won’t work here. 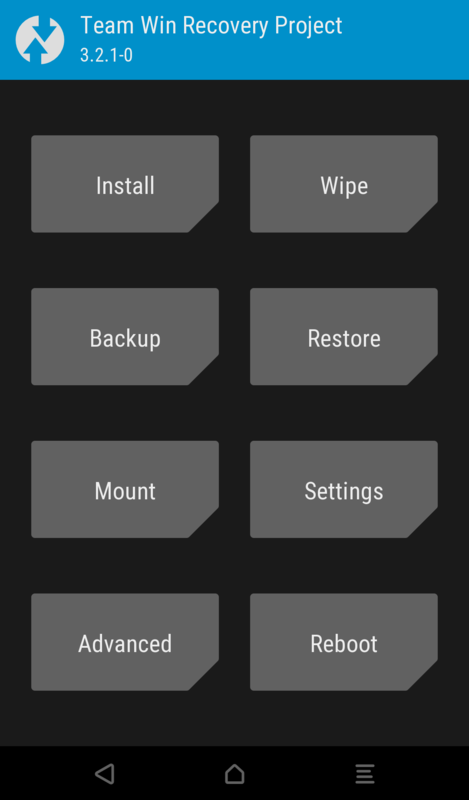 So, in order to install LineageOS 16 on Poco F1, you must have a custom recovery like TWRP installed from before. In that case, you also have to unlock the bootloader of your phone. If your device doesn’t have a custom recovery, and bootloader is not unlocked, please do that first and get back to this tutorial. 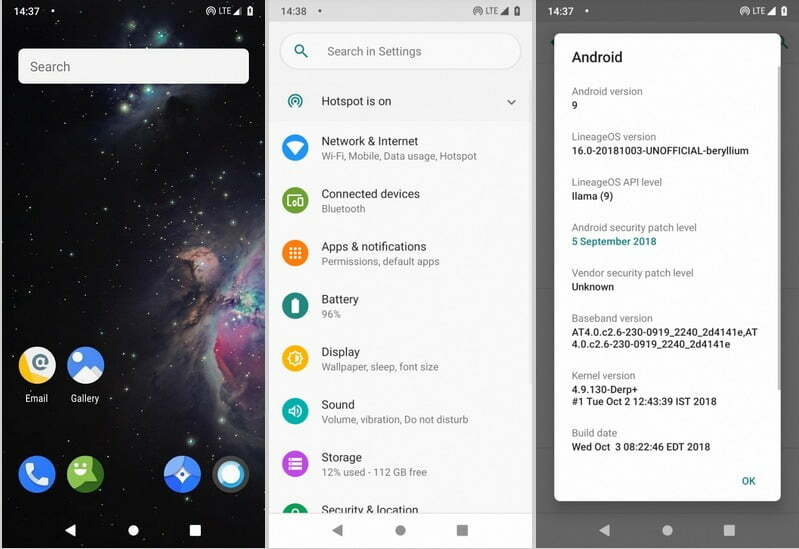 We have mentioned full step-by-step instructions on how to install LOS 16 on Xiaomi Poco F1. If you are entirely new to rooting, flashing a Custom ROM or an Official Firmware, please read the entire tutorial once before actually performing it on your device. Download the LOS 16 and GApps from the above links for Xiaomi Poco F1 on your computer. So you are done with this tutorial! You had successfully installed LineageOS 16 using our guide. If you faced any problem with performing this tutorial, please let us know by dropping a comment below. Our team will reply you back as soon as possible.